Pawsitivity spent 81.12% of gifts on programs, thus exceeding the Charities Review Council's top rating standard! Pawsitivity has just been awarded a grant by the Saint Paul and Minnesota Community Foundation to hire an independent evaluator to interview all Pawsitivity recipient families and create an Impact Evaluation. This Impact Evaluation will show exactly how these special dogs transform the lives of their families. Pawsitivity is the only service dog organization in the U.S. to conduct an independent Impact Evaluation to prove that your donations are providing a high Return on Investment. Pawsitivity Service Dogs is a 501(c)(3) charity duly registered in the state of Minnesota and receives no federal or state funding. We rely primarily on individual contributions to provide specially-trained service dogs to people with disabilities. What percent of Pawsitivity's 2017 expenses were admin and developmental expenses? 16% and 3%, respectively, which Minnesota's Charity Review Council considers the top standard. What is Pawsitivity's EIN? 47-146634. 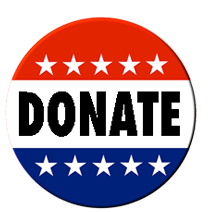 All donations are 100% tax-deductible. How long has Pawsitivity been in business? Since 2012, receiving 501(c)(3) status in 2014. Pawsitivity has a 29.6% Operating Reserve, which is over three months of liquid unreserved net assets (LUNA). This high Primary Reserve Ratio confirms that the organization’s resources are flexible enough to support its mission. Pawsitivity consistently keeps a remarkable 0% Debt Ratio (zero liabilities and no interest expenses), which contributes to a high Viability Ratio. In other words, the nonprofit’s finances have a great deal of resiliency. Your contribution will help rescue dogs to rescue people.